This site has been created to help electrical contractors and electricians to market their business online; whether they choose to do so themselves or by utilizing the services of web design companies or consultants, including us! The site is owned and operated by Andre van Wyk, who has significant experience in providing digital marketing solutions to a wide range of sectors and niche areas of operation, including – but not limited to the Legal Sector (Family Law, Personal Injury, Criminal Law and Consumer Rights), Medical (Dentists and Doctors), Real Estate, Hospitality, Travel and Cleaning Companies. Andre is based in Slovakia but thanks to the mobility of the internet he serves clients across the world, in the United States, the United Kingdom, South Africa, Slovakia, New Zealand, The Netherlands and Germany. 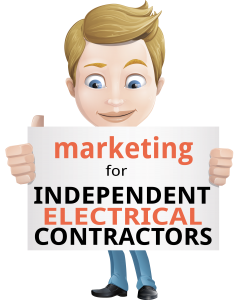 The reason we have setup this site is to address the concerns of the professional electrician, and electrical contractor when it comes to marketing their business, both online and offline. There are specifics that need to be taken into account, and which will assist the electrical profession in terms of getting the most out of their marketing budget and spend. Before you rush off and look to purchase some of the options that are available out there for your marketing needs, we recommend that you aim to educate yourself a little in order to make educated and informed decisions on all of your marketing purchases and spends.